We know that effective marketing is done from “the field” and we are eager to meet with you at these upcoming events. Please contact us to set up an appointment with us. Power and Energy's Luis Breziner will deliver a talk Measured and Modeled Properties of Radial Microchannel Reactors (RMR) at the session Fuel Processing for Hydrogen Production II. Accompanying Luis will be the company's CEO, Dr. Peter Bossard. Please contact us if you would like to arrange an appointment while they are in San Francisco. 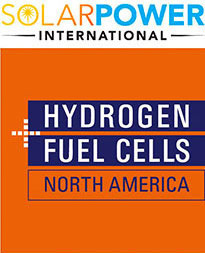 Power & Energy's Director of Sales and Marketing will attend the Pre Application Workshop for the Program Opportunity Notice: Hydrogen Refueling Infrastructure in the Alternative and Renewable Fuel and Vehicle Technology Program. Our goal is to better understand the needs of the OEM vendors for verifying the purity of hydrogen fuel to meet the requirements in SAE J2719. Mandalay Bay Convention Center, 3950 S. Las Vegas Blvd.